The Complete Wolverines: 1924-1928 reissues for the first time all of the sides made by The Wolverine Orchestra: the groundbreaking records with Bix, the two often-missing Jimmy McPartland sides, and the electrically-recorded sides by the Original Wolverines, featuring McPartland and two other Wolverine alumni. The set features 27 selections and includes a 32-page booklet with notes by David Sager and rare, previously unpublished graphics. 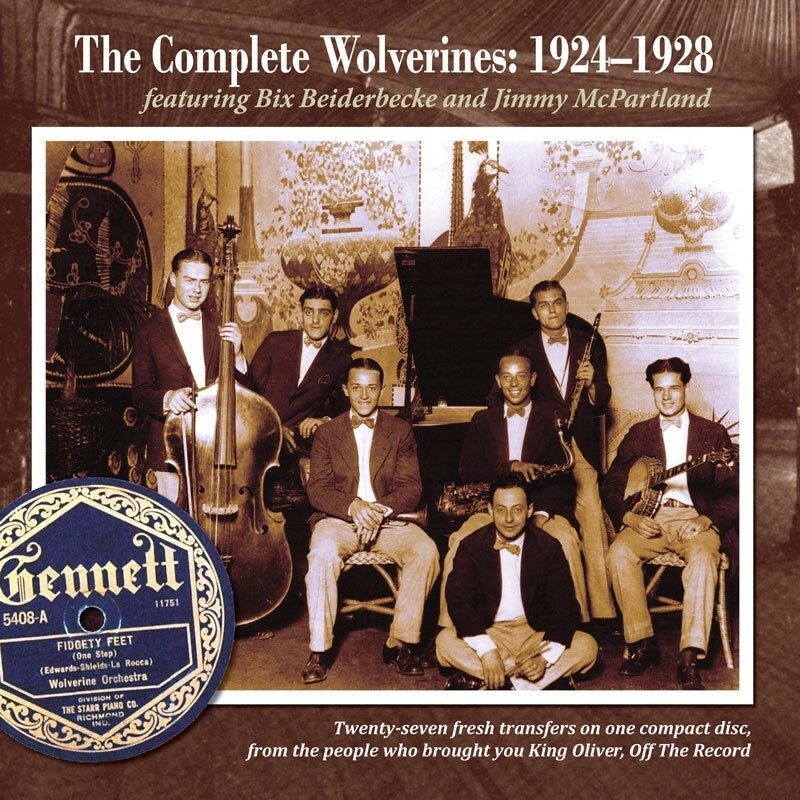 Visit The Complete Wolverines' expanded catalogue page to see the complete track listing, read an extended description, and listen to sound samples.